Raman is a passionate advocate of informed philanthropy and firmly believes in the potential of private wealth and businesses collaborating with public and nonprofit sectors to enable sustainable and just societies. Most recently, Raman led the Philanthropy & Grants division at NVPC – National Volunteer and Philanthropy Center, Singapore. Prior to moving to Singapore in 2014, she was part of the Investment team at Impetus – The Private Equity Foundation, a leading venture philanthropy fund in the UK. She holds an MBA from the Robert Gordon University, Aberdeen UK and a BA in Commerce and Accounting from Delhi University India. 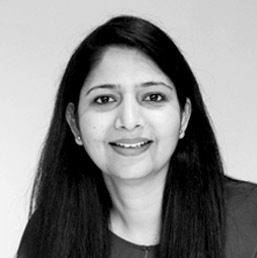 Over her career, she’s held management roles in not-for- profit, financial service and retail sector in the UK and India. Raman is a British citizen and lives in Singapore with her two boys, one of which is her husband of course. Tamir is a Mongolian national with a background in project management and international relations. Prior to joining the Lorinet Foundation he worked as a Project Director at “Shivee-Energy” intergovernmental energy export project, where his main duties included management of stakeholder relations, overseeing financial accountability and overall project implementation. 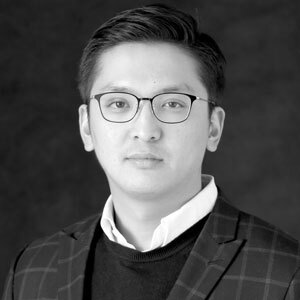 His previous experience includes managing foreign invested development projects in mining sector and volunteer based contribution to the development of project management profession in Mongolia by joining Project Management Institute Mongolia Chapter’s board. Tamir is a certified PMP and holds BS in International relations. Mavia is a Zurich based boutique advisor supporting private clients, foundations and institutional clients in and outside of Switzerland in effecting social change through philanthropy and social investments.